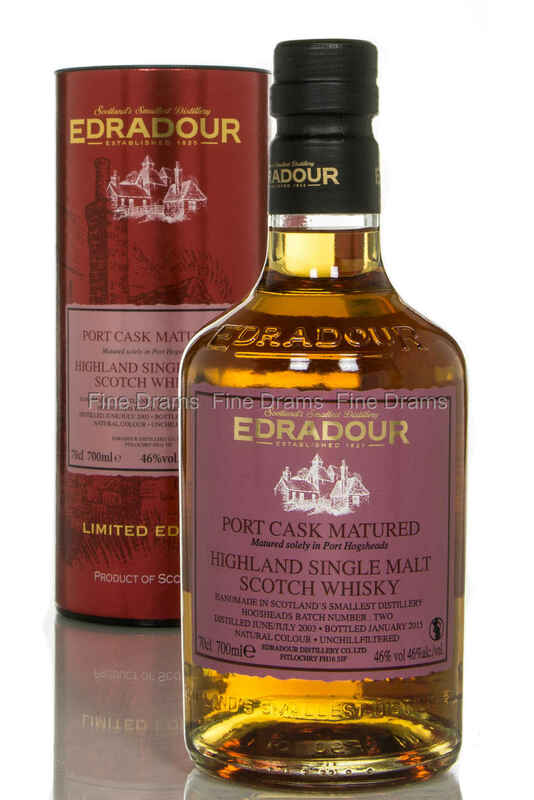 Batch 2 of a great experiment from the highly innovative Edradour distillery, matured solely in Port Hogsheads which previously held port for at least 8 years. The Hogsheads were filled in late June and early July, 2003, and then left to mature for 11 long years, until being bottled in January, 2015. This single malt whisky has a fantastic rich depth of flavour, all thanks to fantastic cask management by distillery manager Andrew Symington and his team.